Win a vacation by spreading Bend love! Several weeks ago, Visit Bend launched a new-and-improved website. But I did want to devote one blog post to explaining the coolest new feature of it and telling you how you can win a $50 gift card to 10Below and an one-night stay at the Oxford Hotel for checking it out. From T-shirts to forehead tattoos, fans of Bend find creative ways to show their love for our mountain-dotted high desert oasis. 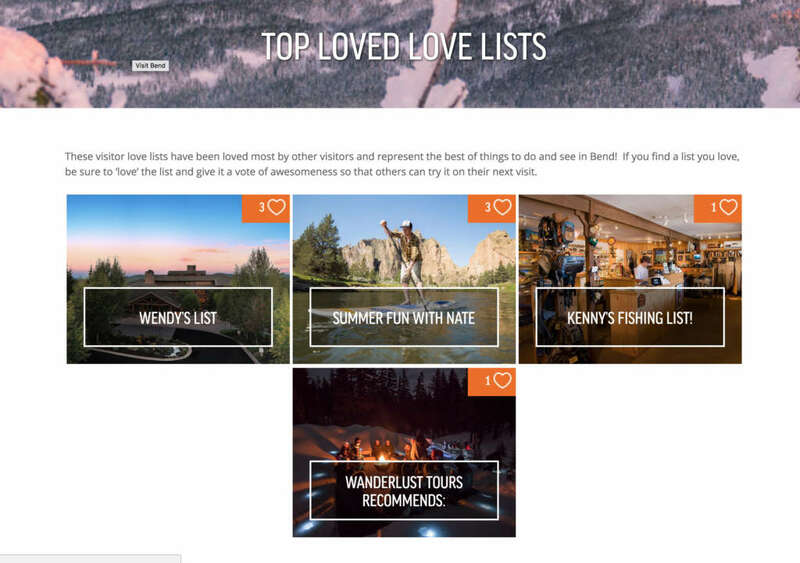 At visitbend.com, you can craft your own unique love sonnet to the outdoor playground of the west by creating a love list. Browse our website to pick out events, activities, restaurants, hotels, and attractions that pique your interest. See something that tickles your fancy? Just click the little heart icon to add it to your love list. If you’re a longtime Bend fan, you can make this your personal “best of” playlist of all your favorite things. Never set foot in Central Oregon? No prob! Consider your love list a roundup of things you hope to see and do on your dream vacation. You can even share it with friends, family, or random strangers. If you need ideas, browse love lists created by local celebrities like professional triathlete Linsey Corbin. Scroll through love lists with specific themes like mother/daughter day in the Old Mill or indoorsy activities. You can even see love lists created by members of the Visit Bend team. Use the mapping feature to create the perfect itinerary and determine the easiest way from point A to point B. Share your love list on Twitter or Facebook. You can even print or email it. Your options are as bountiful as your love of Bend. Cool beans. How do I get started? Begin on the home page at www.visitbend.com. Browse popular love lists, love lists created by local celebrities, or even love lists with a specific theme. Want to jump right in with creating your own love list? Click “start browsing” to scroll through everything there is to see and do in Bend. Since that’s a pretty daunting list, you can narrow the field with filters that let you search by season, activity level, categories like “tours” or “shopping,” or even most-loved attractions. If you’d rather begin by seeing what other people are picking, click “see love lists.” Snoop through other people’s lists and choose individual activities for your own list (or love someone else’s whole list if it’s really super-awesome). Your computer or mobile device should remember your loves each time you visit, but if you want to make sure it’s saved (not to mention accessing functions like sharing and emailing), create a quick online profile that lets you come back again and again to update your list. Delete and add items or create multiple itineraries for different kinds of trips. You said I can win something? I’m so positive you’ll love the new love list feature that I’m giving away a $50 gift card to one of my favorite Bend dining spots, 10 Below Restaurant at the Oxford Hotel (and yes, it’s on my personal love list, which you can see right here). You’ll also get a one-night stay at The Oxford, which is a pretty fab place to bunk down for a night. 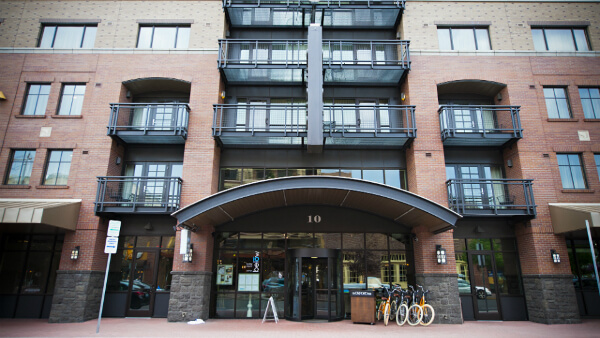 You can win a night’s lodging at The Oxford Hotel, along with dinner at their popular restaurant, 10Below, just for creating a love list. Create your own love list and make it public. In the comments on this post, let us know the name of your list. Not ready to create your own list (or you already have, but want to spread some love for someone else’s?) Like another person’s list, then tell us in the comments whose list you liked and why. Tell us about your entries in the comments to be entered in the drawing. We’ll pick a winner on Wednesday, August 1. Now get out there and let the love flow! Love the new site, shared my loves and hope to be entered in the drawing. Keep up the great work Visit Bend Team! Cheers!